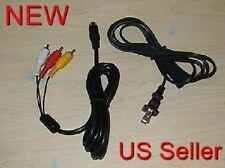 Qty: 1pc Sega Saturn AV cable. 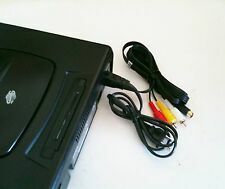 Saturn AV Gold Plated Cable. Compatible with Saturn. Sega Saturn. Sega Dreamcast. Cable length - 1.8m. Sega Saturn. Sega Dreamcast. We strive to serve you the best possible service. A lengthy 1.8m Cable. Original Microsoft XBox (not the Xbox 360 or Xbox One). 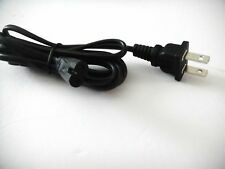 POWER CABLE / LEAD for Sega Saturn consoles - Free Postage! 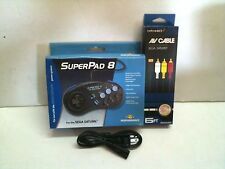 Official Power Lead Cable AC Adaptor Power Supply For Sega Saturn Console . Condition is Used. Dispatched with Royal Mail 2nd Class. Comes in fully working order. Plug and cable is a little dusty/dirty from storage.